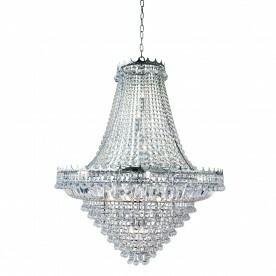 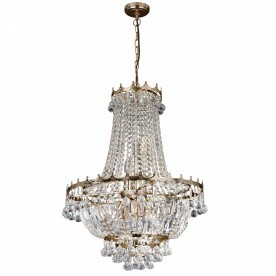 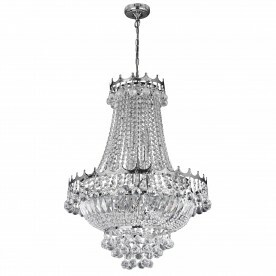 This Versailles Gold 9 Light Chandelier Trimmed with Crystal looks stunning in any main room or entrance. 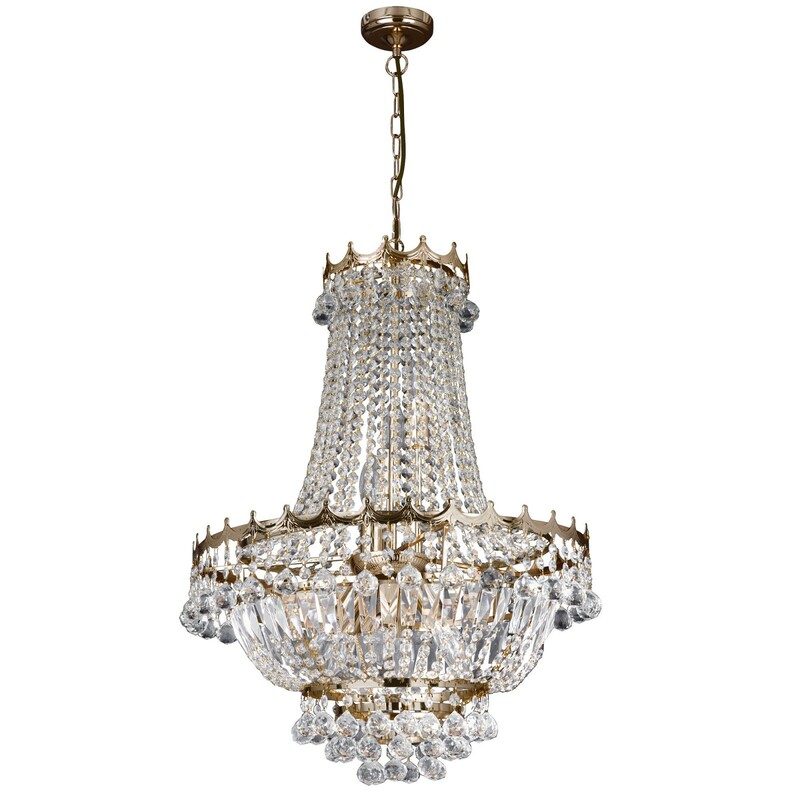 The traditional chandelier is brimming with intricate trimmed crystal which hangs in, around and below two beautiful crowns finished in gold. 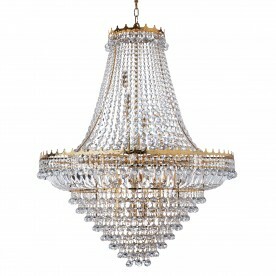 It looks amazing when it is lit up at night and makes a bold statement in any home.